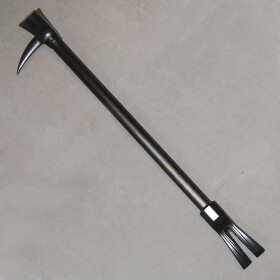 Zak Alloy Entry Tool (24", 30" or 36") » Protective Solutions, Inc. The Tactical Entry Tool was designed for use by law enforcement and fire/rescue personnel for accomplishing forcible entry into buildings, vehicles and other locked enclosures. The working ends of the tool will perform a diversity of tasks including prying, pounding, and puncturing the tubular steel handle reduces the overall weight while enhancing leverage, control and balance during use.